Imagine an early August morning on a remote Norwegian fjord coast. 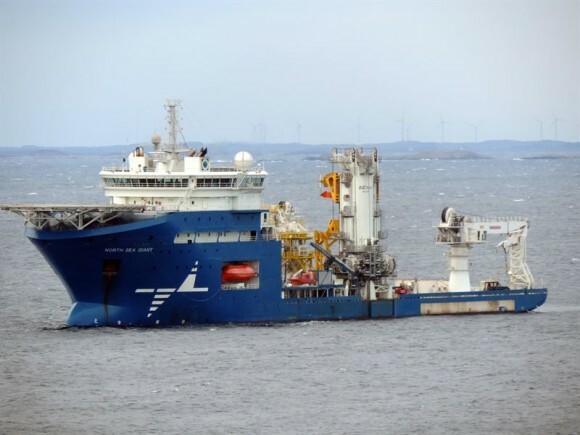 The North Sea Giant, a 150-meters long pipe-laying vessel is being ready to lay down an 8.4 km gas pipeline onto the seabed of the Norwegian Sea. In a few instants, the massive ship will leave the shores of Orkanger and start its journey at sea to reach the Åsgard field, 200 km away.Let us rewind to the previous October and discover the process of assembling and reeling such an impressive pipeline onto a yet more impressive ship. This SURF (subsea, umbilicals, risers & flowlines) project commissioned by Equinor – previously Statoil, the Oil & Gas company – was untrusted to Technip FMC, a global leader in subsea, onshore, offshore and surface Oil & Gas technology, and Axess Group, Norway N°1 Quality Control and Inspection solutions provider within the SURF business. The tube that is reeled at the rear of the of The North Sea Giant is assembled in a factory twice the size of a football field, where 12 meters pipes go through a series of work stations to be pre-heated, welded, tested, and coated. In total, the project consists of seven hundred double joint welds, seven hundred other mainline welds, as well as onshore and offshore tie-in welds. As you can imagine, this complex enterprise can go wrong in a variety of ways. A slight mistake anywhere in the process inevitably delays the production, which can cause tremendous financial losses. Therefore, human errors or equipment failures are to be avoided at all costs. 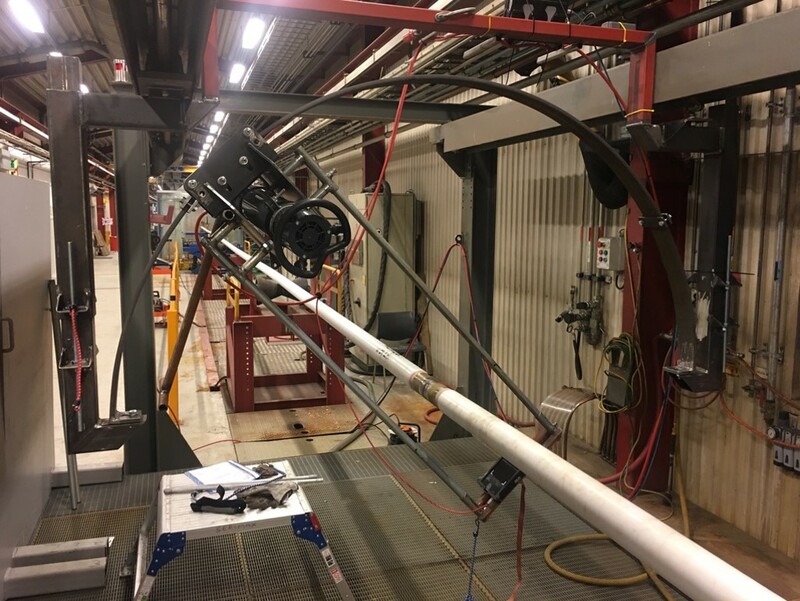 From the get-go, the two partners were looking for reliable, hands-on, and easily implemented solutions to ensure seamless execution of the assembly-line work that was to be carried out in the Norwegian plant. An operation of this magnitude calls for extensive examinations of each weld that holds the several kilometers pipeline together. Indeed, the viability of the entire project relies on the strength and quality of the different junctions that compose the pipe. Therefore, highly qualified operators and state-of-the-art quality control equipment are paramount. Axess, a quality control contractor always on the lookout for innovative and reliable tools, was on the market for a high definition digital x-ray system that would allow the inspection team to carry out the thousands of x-ray shots in record time but with unequalled precision and quality. The Norwegian company eventually settled upon the radiographic testing equipment GO-SCAN 1510 XR from the Belgian x-ray expert, Teledyne ICM. This 15 x 10 cm 49.5 µm CMOS digital detector coupled with a CP225D, a 225 kV constant potential x-ray generator, also from Teledyne ICM revealed to be the ideal partner for the task. “The Teledyne ICM system was very well adapted to the Åsgard/Trestakk projects. It proved to be effective, reliable and accurate” –Hjalmar Holmen, Senior Surveyor – DNVGL. To meet Axess’ high expectations in terms of image quality, engineers at Teledyne ICM were grateful to work hand in hand with Axess’ experts. Thanks to this collaboration, Teledyne’s Sherlock™ image processing software was tailored to meet the client’s necessity to comply with the EN ISO 17636-2 covering radiographic inspection using digital imaging solutions. The system also had to comply to the very demanding specification for subsea pipeline, DNV OS-F101. To Axess’ experts, the features implemented in the software, such as signal to noise ratio (SNR) and measuring tools were also very welcome additions to Sherlock™ as it greatly improved the understanding of each x-ray shot. 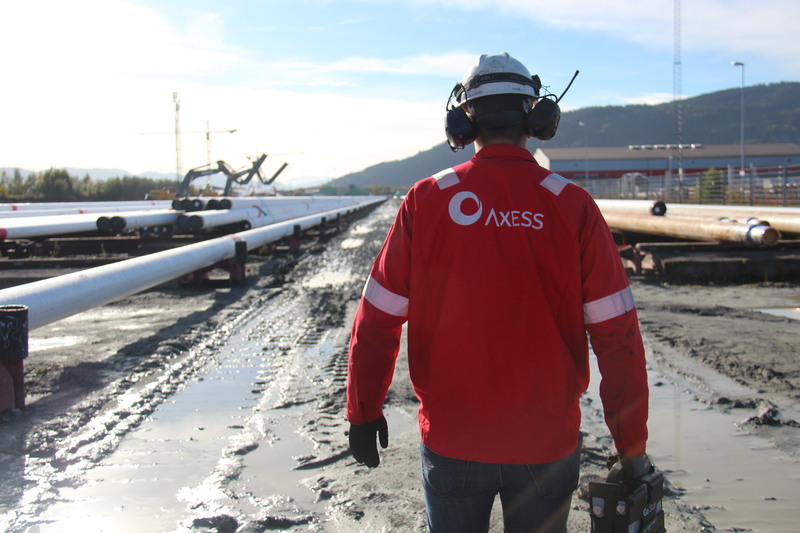 On top of the high-resolution images, the portability and versatility of the entire system became a great asset when Axess installed the x-ray source and detector on the TechnipFMC production line. Thanks to Axess’ expertise, the team developed solutions for the Teledyne ICM generator and detector, which enabled two quick x-ray exposures that covered the complete weld in a few seconds. The set-up greatly satisfied the requirements connected to subsea pipeline with high expectations to process speed, quality and durability. Besides the incomparable speed at which DR delivers images compare to films, the magic of digital radiography – and especially the Sherlock software – resides in the fact that all the images, studies and edits can be shared with colleagues, clients, and advisers all over the world in an instant. According to the operators and experts working the line, the GO-SCAN XR detector was not the only rock star of the show. The CP225D x-ray generator delivered all his promises and more. With its output voltage ranging from 10 to 225 kV, and its current range going from one to 10 mA, the versatility of this tube remains unprecedented. Only weighing 12 kg, this unit was very easy to carry around and install on the main line. 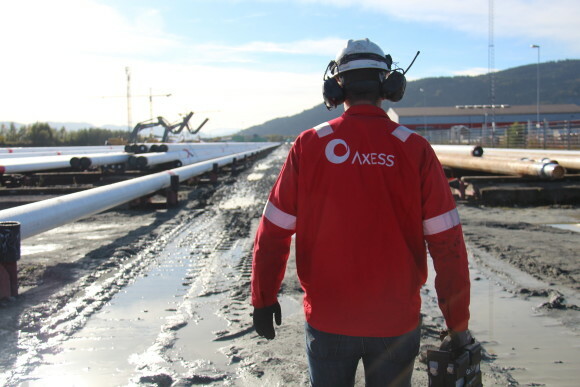 “The in-built shielding system in the tube and the fact that we were able to achieve very low radiation dose-rates within the relativity limited space we had available was incredible” – Vidar Grønning, NDT operator / HSE selected delegate – Axess. In September, all the 12 meters tubes that formed the 8.4 kilometers sea pipeline were now ready to be rolled onto the massive reel at the rear of The North Sea Giant. In a few days, the pipe-laying vessel will leave the harbor and starts its expedition to Åsgard. In the end, the Axess and Technip FMC teams were extremely satisfied by their equipment of choice. They concluded that this digital x-ray system would be capable of meeting all applications given the tremendous success and complexity of the Åsgard project. It took four weeks, thousands of welds, and close to a hundred operators to complete this project. The Equinor pipeline is now laying at the bottom of the Norwegian Sea. Axess and Technip FMC are once again at work using the equipment provided by Teledyne ICM, and the North Sea Giant is out on new missions in the Scandinavian waters.